After watching “Gravity,” Amber Yang started having nightmares. The ninth-grader and astrophysics enthusiast from Florida was naturally drawn the film, and it got her so intent on trying to make a change. 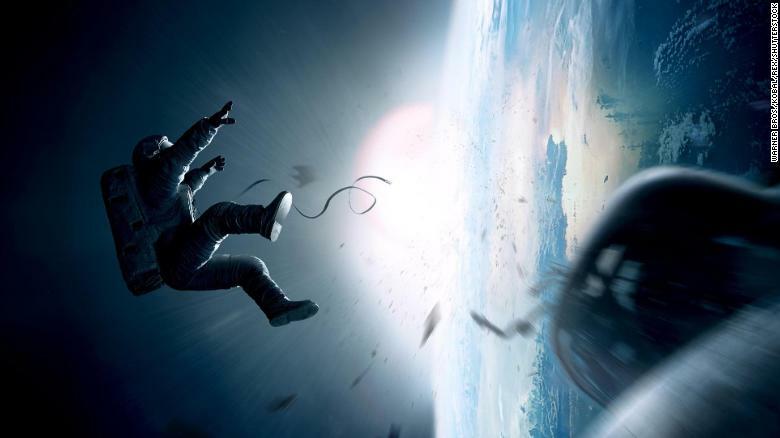 The film imagined an astronaut’s desperate escape to Earth after the destruction of a NASA space shuttle. “Gravity” bent some rules of physics, broke others, but its most terrifying plot device was, in theory, true. A phenomenon known as the Kessler syndrome, it’s a scenario in which low Earth orbit — home to the International Space Station and other satellites — has reached a critical density of objects. An explosion, or collision between two objects with intersecting orbits, creates debris, setting off an exponential chain of collisions causing a catastrophic breakup of objects above Earth.The implications are chastening, with the debris belt limiting our ability to reenter space for a significant amount of time. Yang, now a college first year, has moved on from the nightmares. She’s too busy trying to stop a space debris calamity from ever happening. Low Earth orbit, starting a few hundred miles up, contains millions of objects, ranging from space stations and rocket boosters to flecks of paint. Traveling 10 times faster than a bullet, a speck of debris less than half an inch wide can impact with the force of a hand grenade, meaning no object is benign. The European Space Agency says for many missions, space debris impact represents the third highest risk of losing a spacecraft behind risks associated with launch and deployment in orbit. Avoiding collisions requires constant monitoring and intervention — the US Department of Defense’s Space Surveillance Network makes hundreds of thousands of observations every day. 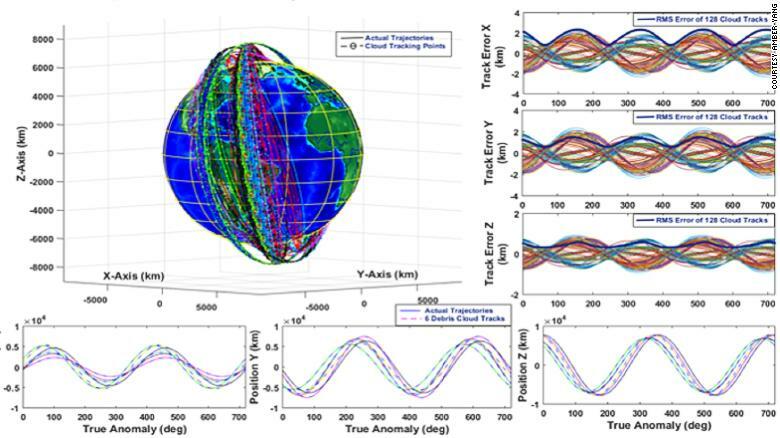 Timothy Payne, chief of operations assessments division at Headquarters Air Force Space Command (AFSPC), told CNN that AFSPC “routinely provides to NASA satellite predictions 10 days into the future to support collision avoidance,” but did not elaborate as to how these predictions were made. But Yang says she’s developed a new way to predict orbits more accurately, and do so weeks into the future. What’s more, she’s won a number of prizes for her solution. 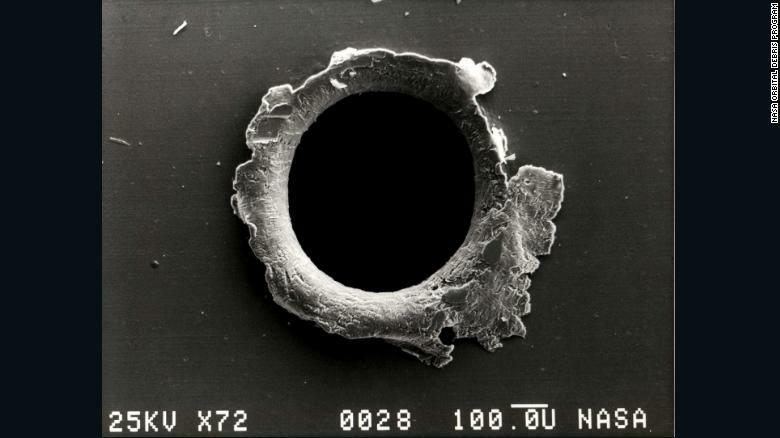 A close-up photograph showing damage sustained by the Solar Max experiment from a tiny piece of orbital debris. By 2016 Yang had turned to artificial neural networks, a computing system designed to replicate the learning process of the human brain. They can be used to identify patterns — patterns like orbital debris paths. To her network she added the coordinates of space debris available to the public online (accessible via Space-Track. You can see a model of this real-time data set via stuffin.space). In June 2016, Yang asked her network to predict three days ahead using 16 days-worth of back data. She says it was 98% accurate. Yang entered her project into multiple competitions. By the end of the year she had presented her finding at CERN, attended the White House Frontiers Conference, and delivered an impassioned TEDx talk containing powerful insights about the obstacles facing women in STEM industries. In 2017 she became a finalist in the Regeneron Science Talent Search, won the Intel Foundation Young Scientist Award — and a $50,000 scholarship with it. Yang also found time to start university at Stanford. She’s now studying physics while running Seer Tracking, a commercial enterprise looking to license out her software. “I’m getting a lot of consumer interest from private space corporations,” Yang says. “Startup companies trying to launch different things into space are very interested in my work, because it’s essentially very low-cost,” she adds, comparing her neural network to sensors and radars. A screenshot of Yang’s software, which predicts the flight path of space debris via an artificial neural network. This Hubble image looks a floating marble or a maybe a giant, disembodied eye. But it’s actually a nebula with a giant star at its center. Scientists think the star used to be 20 times more massive than our sun, but it’s dying and is destined to go supernova. 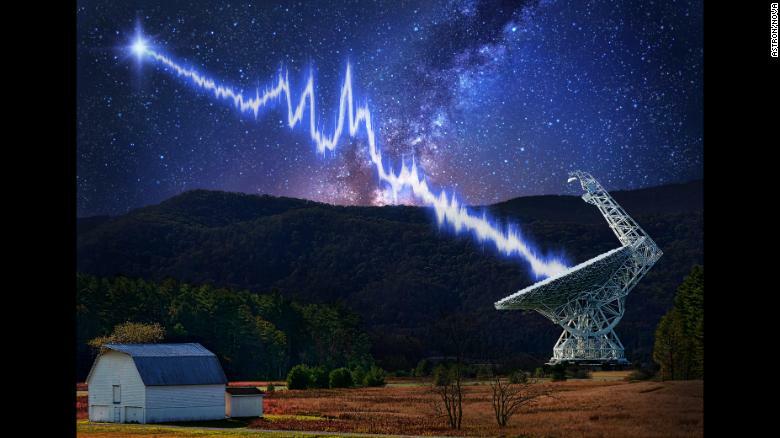 Photos: Wonders of the universe An illustration depicts the detection of a repeating fast radio burst from a mysterious source 3 billion light-years from Earth.